The term "distressed hardwood floors" refers to the process of deliberately distressing hardwood floor planks to achieve an antique look. 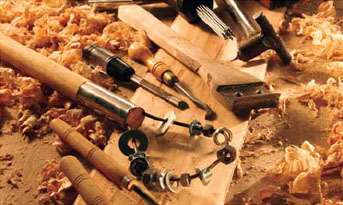 Our trained artisans "read" each piece of wood to determine its individual personality, and then choose the right tools and techniques to fully bring out this character. 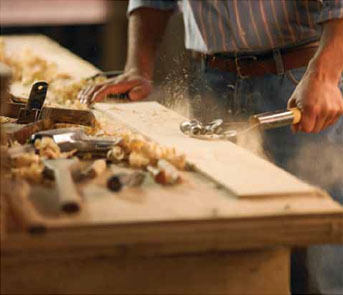 Using more than 30 specialty wood making tools, Southern Traditions flooring craftsmen are highly skilled at adding natural-looking character to our hardwoods. This includes chatter marks, antique wear and tear to the edges and ends and worm holes to create the prefect antique-looking distressed hardwood flooring. No machines, no assembly lines! The difference is obvious!